and have pretty much settled on Storage Craft's products. 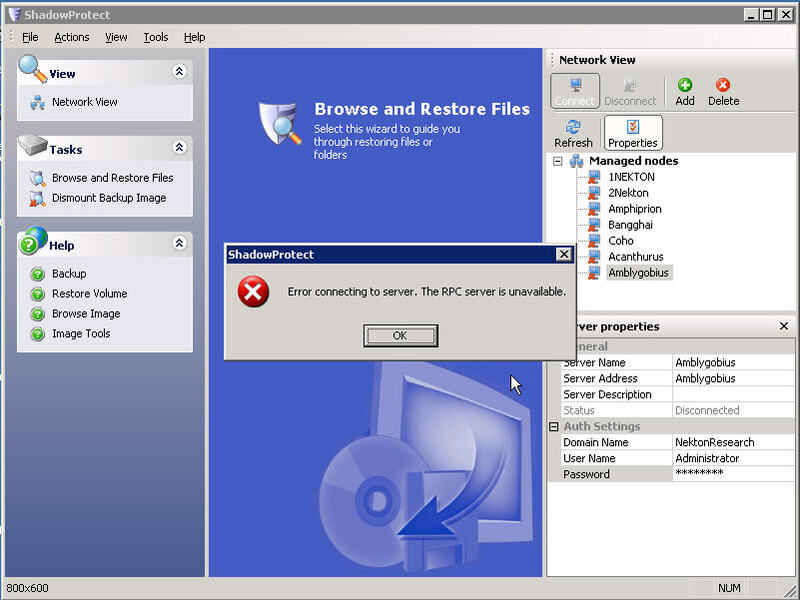 versions of Shadow Protect from the Shadow Protect Server Console. convoluted MSDN paper on configuring dcomm which is not for the faint of heart. 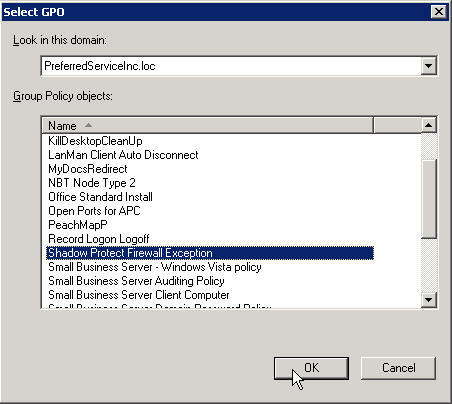 how to create a GPO to allow a program to communicate over your lan. as we never know when a wizard or a hot fix may come along and reset them. If we build our own policies we know they will be there until we delete them. they will require a reboot instead of a log off. to make this process easier for you. 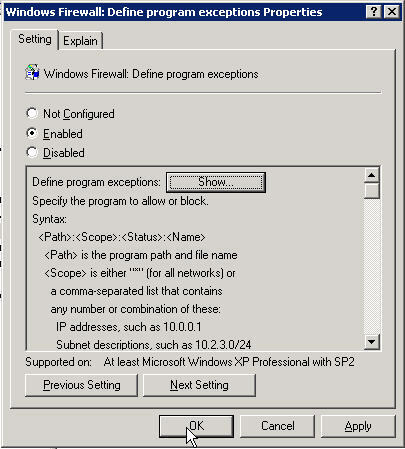 You may want to use this custom .adm file to set the exceptions in your XP firewalls for ShadowProtect. You can publish the file on your web site if you like it. Create a new GPO, edit, go to Computer Configuration, Administrative Templates, right click, and Add new template, and add the shadowprotect template. There are only three policies, the two you mentioned in your article plus a third that could be "disabled"
to gray out the "Don't Allow Exceptions" check box on the firewall. 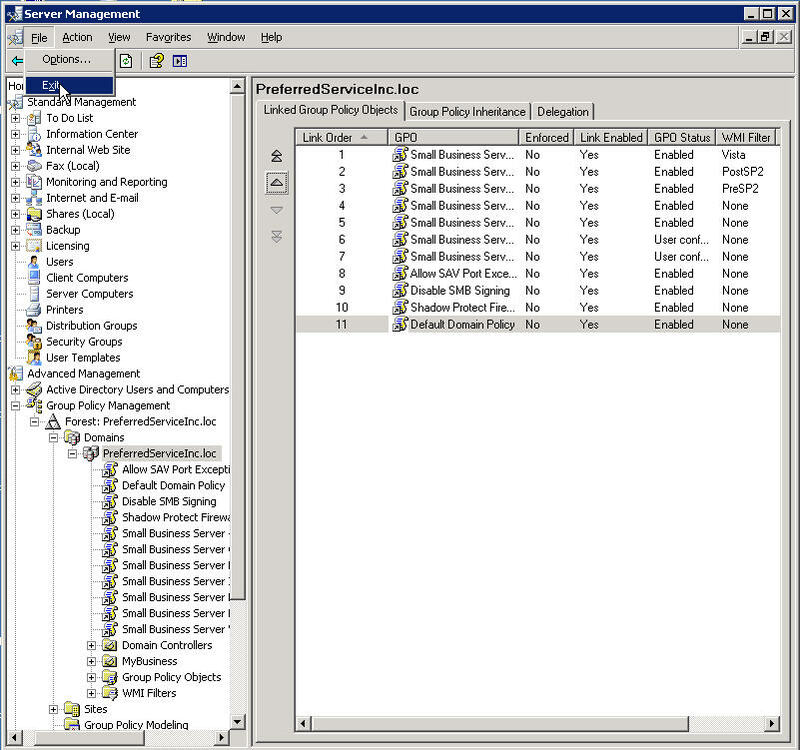 This will keep local admins from blocking your policies. The advantage - this file is portable from installation to installation, and you don't have to remember to type that gosh awful string - it gets placed in the box automatically when you enable the policy. 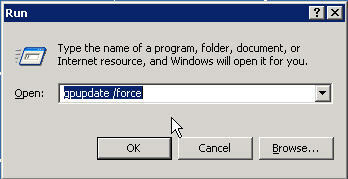 CATEGORY "Add Shadow Protect Exception"
POLICY "Add Shadow Protect Exception"
SUPPORTED_WindowsXPSP2="At least Microsoft Windows XP Professional with SP2"
WF_AllowedProgramsLocal_Help="Allows administrators to use the Windows Firewall component in Control Panel to define a local program exceptions list. 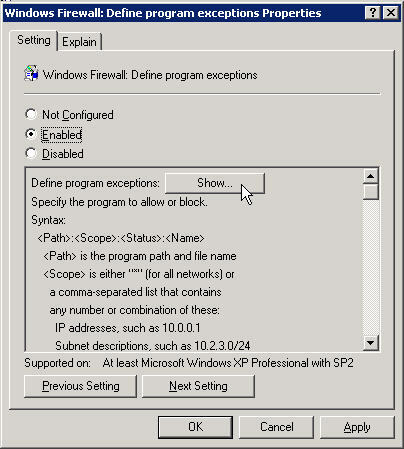 Windows Firewall uses two program exceptions lists; the other is defined by the "Windows Firewall: Define program exceptions" policy setting.\n\nIf you enable this policy setting, the Windows Firewall component in Control Panel allows administrators to define a local program exceptions list.\n\nIf you disable this policy setting, the Windows Firewall component in Control Panel does not allow administrators to define a local program exceptions list.\n\nIf you do not configure this policy setting, the ability of administrators to define a local program exceptions list depends on the configuration of the "Windows Firewall: Define program exceptions" policy setting. 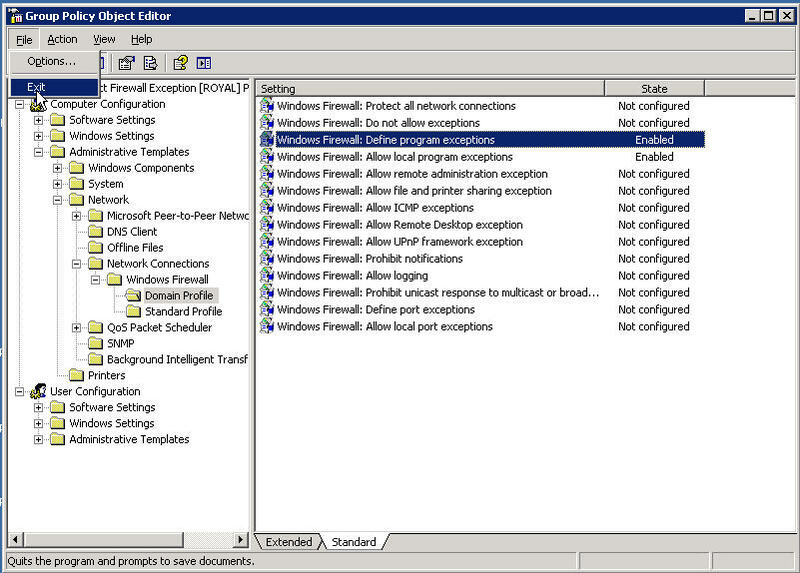 If that setting is not configured, administrators can define a local program exceptions list. If it is enabled or disabled, administrators cannot define a local program exceptions list." WF_AllowedProgramsLocal_Name="Windows Firewall: Allow local program exceptions"
WF_EnableShield_Name="Windows Firewall: Do not allow exceptions"
WF_EnableShield_Help="Specifies that Windows Firewall blocks all unsolicited incoming messages. 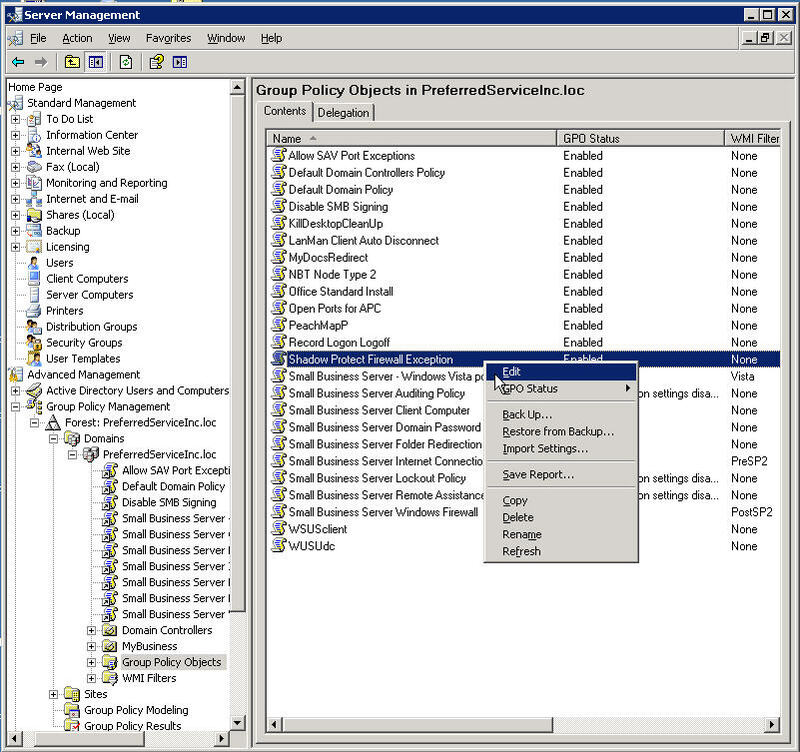 This policy setting overrides all other Windows Firewall policy settings that allow such messages.\n\nIf you enable this policy setting, in the Windows Firewall component of Control Panel, the "Don't allow exceptions" check box is selected and administrators cannot clear it. 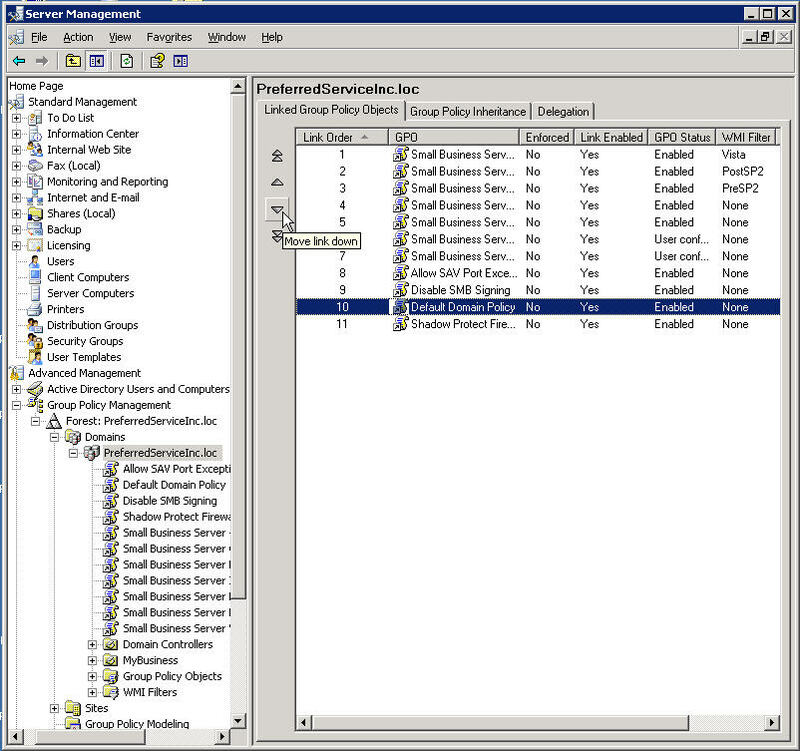 You should also enable the "Windows Firewall: Protect all network connections" policy setting; otherwise, administrators who log on locally can work around the "Windows Firewall: Do not allow exceptions" policy setting by turning off the firewall.\n\nIf you disable this policy setting, Windows Firewall applies other policy settings that allow unsolicited incoming messages. 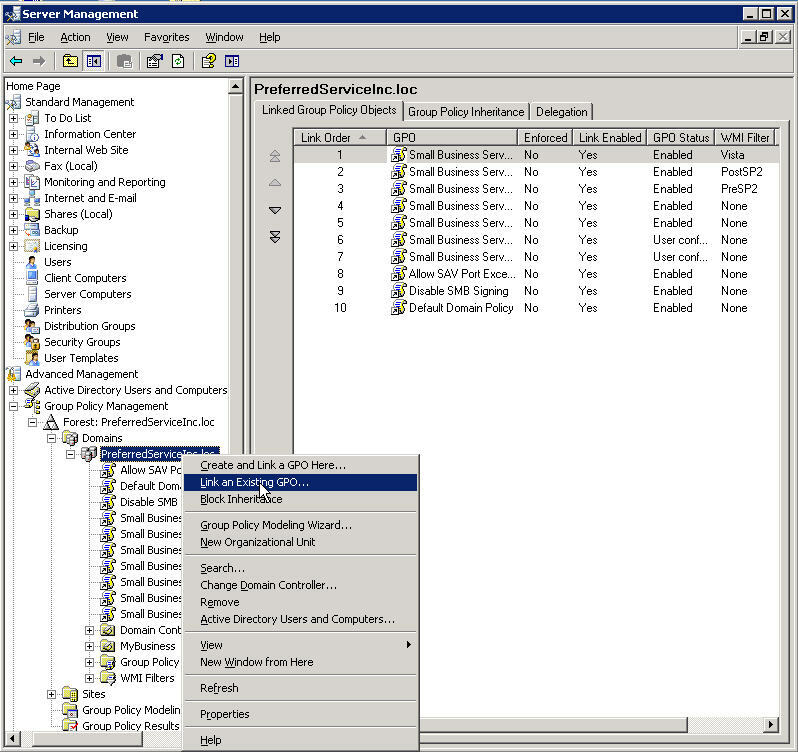 In the Windows Firewall component of Control Panel, the "Don't allow exceptions" check box is cleared and administrators cannot select it.\n\nIf you do not configure this policy setting, Windows Firewall applies other policy settings that allow unsolicited incoming messages. 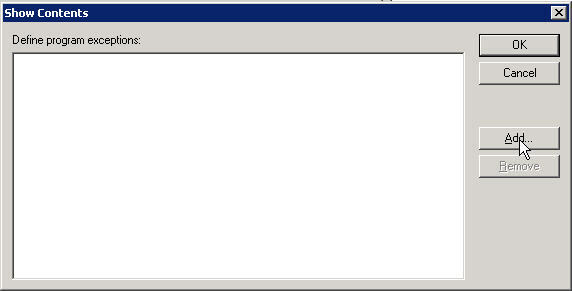 In the Windows Firewall component of Control Panel, the "Don't allow exceptions" check box is cleared by default, but administrators can change it." 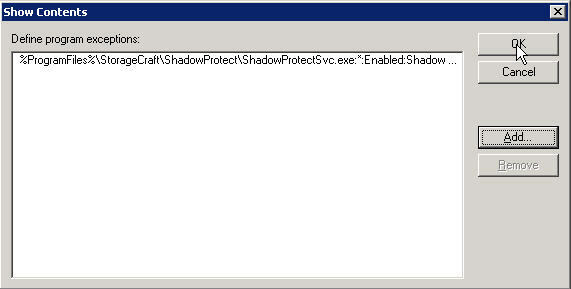 ShadowProtectException_Help="If enabled, the exception for ShadowProtect will be added to the Windows Firewall list of exceptions."